Our base delivery software for residential or commercial delivery and pickup of farm fresh produce is second to none in the industry. A professional customer-facing marketplace allows for automatic intelligent route assignment, collection of payment method, shopping, marketing, and account management functions, as well as the ability for customers to edit what's coming in their produce box for the week and shop for one-time items to add into upcoming deliveries. All of these features and more make DBP one of the best delivery routing softwares on the market. With several produce box methodologies to choose from, we can help you determine what will be most successful for your customer base and share our experience in the industry. 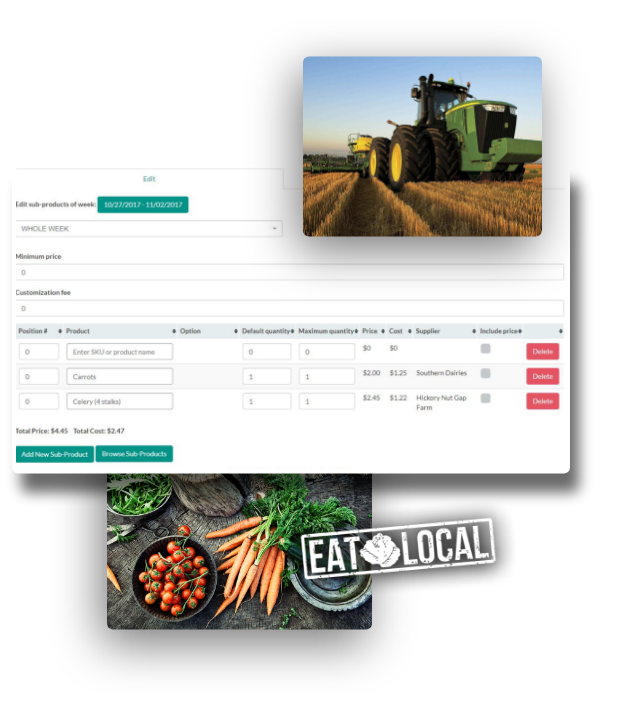 As the perfect farm or CSA software, DBP is raising the bar for the produce management software industry.